For the 35 years of enjoying the good life, Paul Giubergia has continued to enjoy a life full of good wine, good food, world traveling, and he still pursues an active second part of life. After 35 years of enjoying such a good life, the remarkable thing is that he still maintains a waistline of thirty two inches today as the same as when he was eighteen. 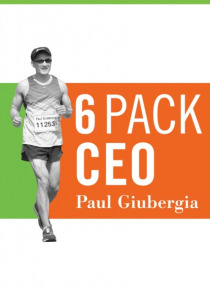 Now, in "e;6 Pack CEO"e;, Paul wi… ll show you how you can maintain a successful business and while stay healthy to enjoy the good life. Learn how he uses Smart Series and his unique health philosophy to achieve the impossible: being a body-builder turned marathon runner.